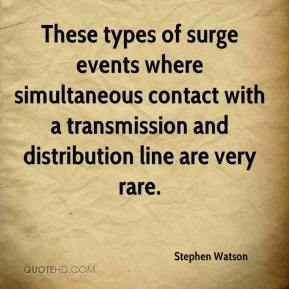 These types of surge events where simultaneous contact with a transmission and distribution line are very rare. 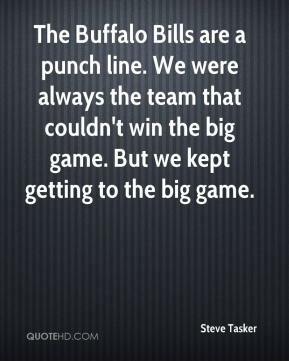 The Buffalo Bills are a punch line. We were always the team that couldn't win the big game. But we kept getting to the big game. 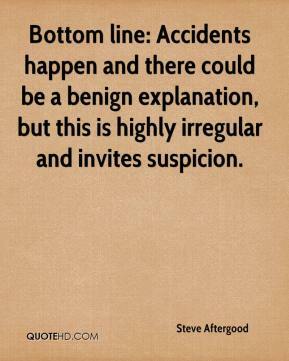 Bottom line: Accidents happen and there could be a benign explanation, but this is highly irregular and invites suspicion. 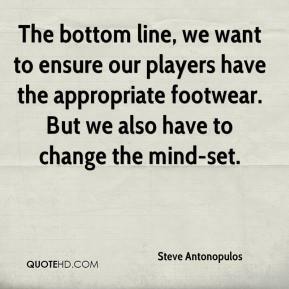 The bottom line, we want to ensure our players have the appropriate footwear. But we also have to change the mind-set. I wanted to play off of him and stop the drive. That's just the bottom line. 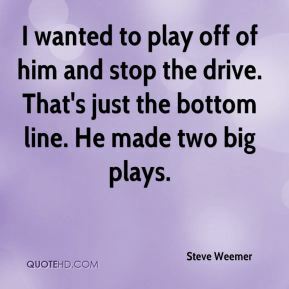 He made two big plays. 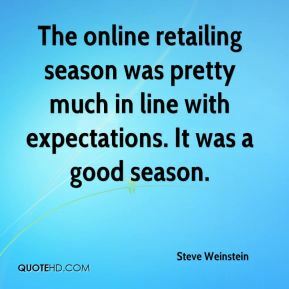 The online retailing season was pretty much in line with expectations. It was a good season. 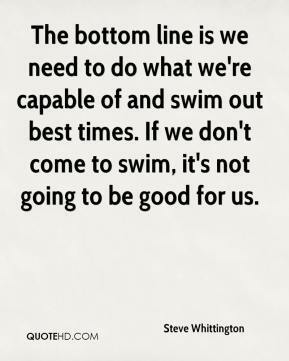 The bottom line is we need to do what we're capable of and swim out best times. If we don't come to swim, it's not going to be good for us. 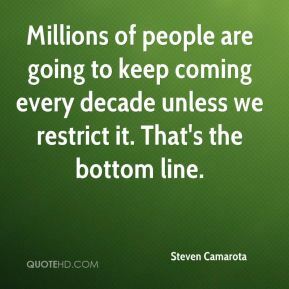 Millions of people are going to keep coming every decade unless we restrict it. That's the bottom line. 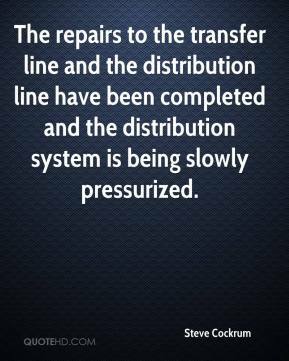 The repairs to the transfer line and the distribution line have been completed and the distribution system is being slowly pressurized. 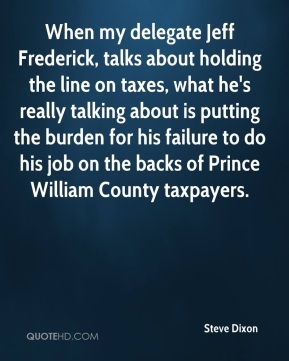 When my delegate Jeff Frederick, talks about holding the line on taxes, what he's really talking about is putting the burden for his failure to do his job on the backs of Prince William County taxpayers. 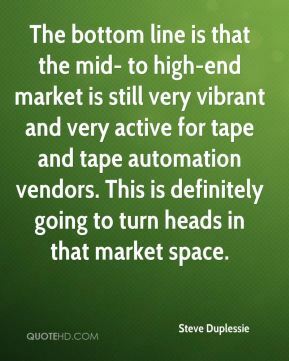 The bottom line is that the mid- to high-end market is still very vibrant and very active for tape and tape automation vendors. This is definitely going to turn heads in that market space. Release them in a safe area, where the law enforcement can find them. Call the help line, let them know they can be found. 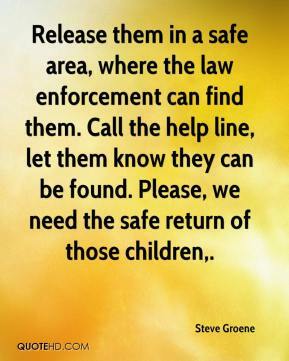 Please, we need the safe return of those children. The Prestige line is perfect for the step-up user who desires high-quality optics but with easy to use features. 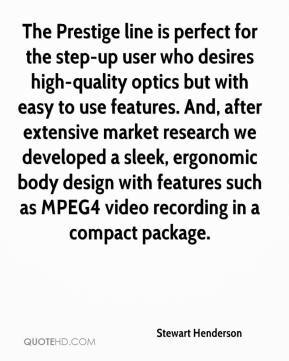 And, after extensive market research we developed a sleek, ergonomic body design with features such as MPEG4 video recording in a compact package. 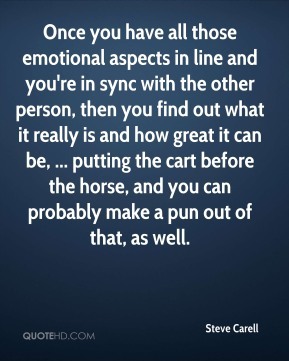 It's like that Jerry Seinfeld line about sports, that we're all just cheering laundry. I don't care who plays for Arizona. I'm going to cheer like crazy for them. 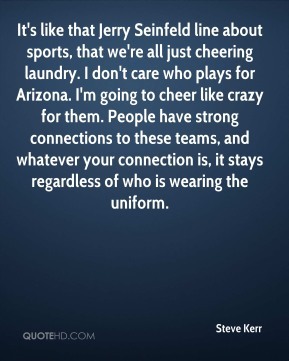 People have strong connections to these teams, and whatever your connection is, it stays regardless of who is wearing the uniform. 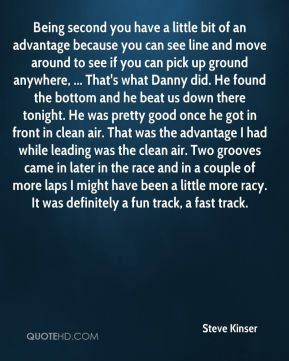 Being second you have a little bit of an advantage because you can see line and move around to see if you can pick up ground anywhere, ... That's what Danny did. He found the bottom and he beat us down there tonight. He was pretty good once he got in front in clean air. That was the advantage I had while leading was the clean air. Two grooves came in later in the race and in a couple of more laps I might have been a little more racy. It was definitely a fun track, a fast track. It was a combination of a lot of different things. 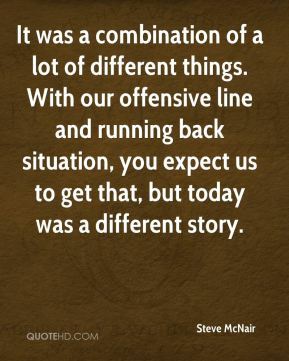 With our offensive line and running back situation, you expect us to get that, but today was a different story. 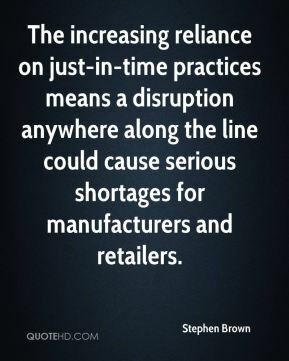 The increasing reliance on just-in-time practices means a disruption anywhere along the line could cause serious shortages for manufacturers and retailers. Not very many people know the law about crossing a double-yellow line. 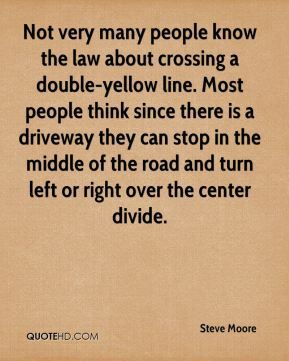 Most people think since there is a driveway they can stop in the middle of the road and turn left or right over the center divide. This is my bottom line. They're not important to the case. They're not believable. 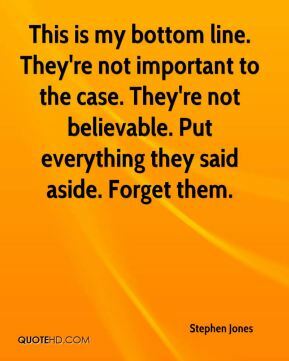 Put everything they said aside. Forget them. I'm most proud of him knocking down six of seven free throws. He had been struggling on the line. 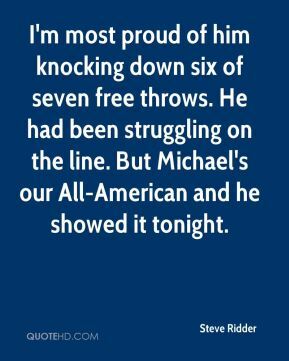 But Michael's our All-American and he showed it tonight. 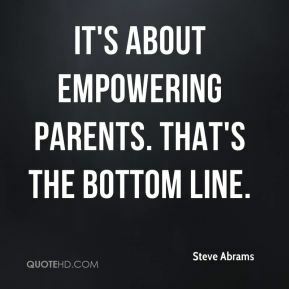 It's about empowering parents. 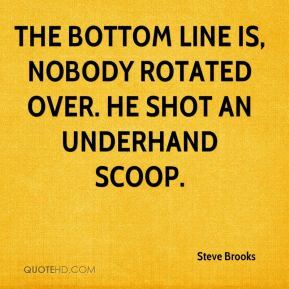 That's the bottom line. This was very good, and frankly, unexpected news. 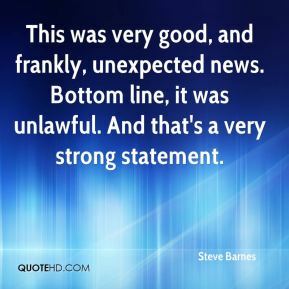 Bottom line, it was unlawful. And that's a very strong statement. 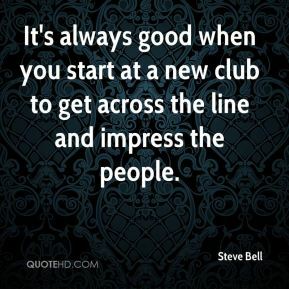 It's always good when you start at a new club to get across the line and impress the people.